Yes, they do still make old fashioned gowns for infants! 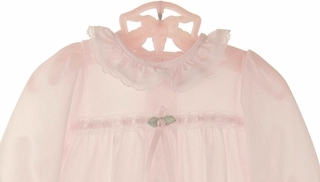 Here's the most adorable little soft nylon ruffled gown in pale pink for baby! A similar little gown is available in rosebud print. See below. Size newborn will fit to 10 lb. 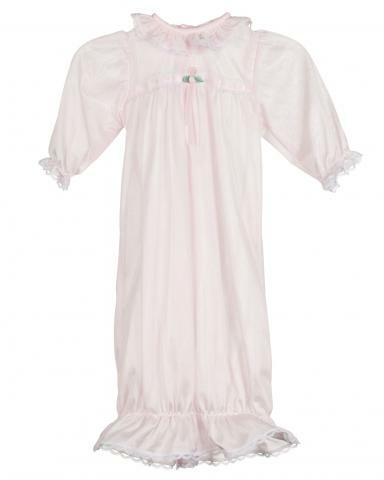 Note: This gown is also available in babies', toddlers' and little girls' sizes. Matching footed pjs are available, too. See below.